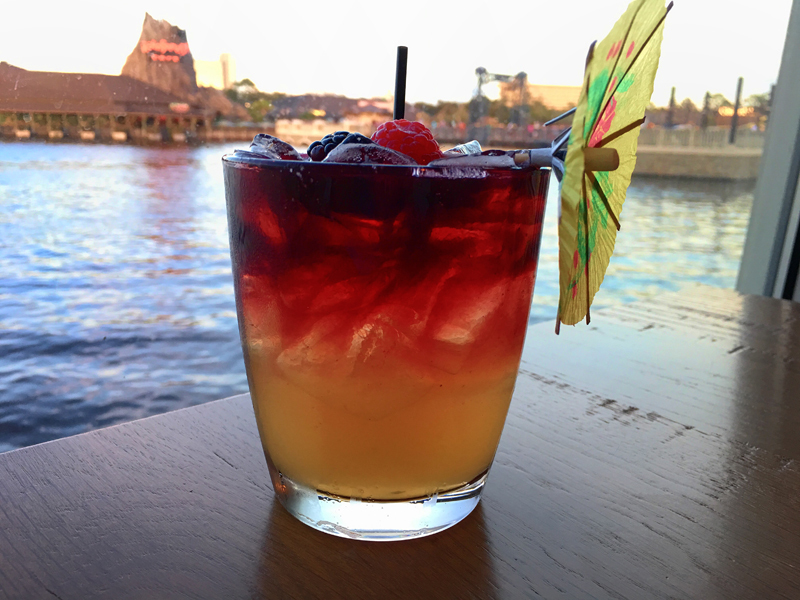 Climb aboard an iconic paddleboat docked on Lake Buena Vista in Disney Springs. 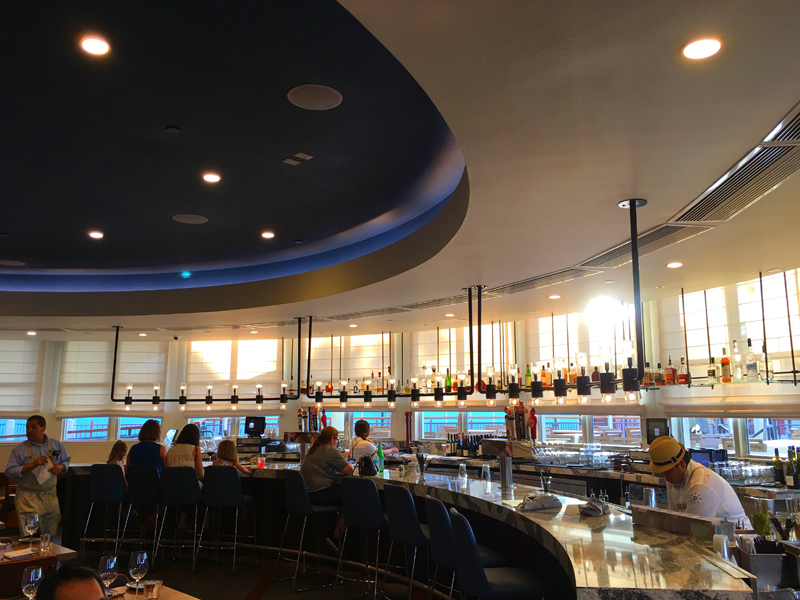 You are about to be whisked away on a seafood journey with all-American favorites of seafood boils, fresh fish and lobster galore at Paddlefish. 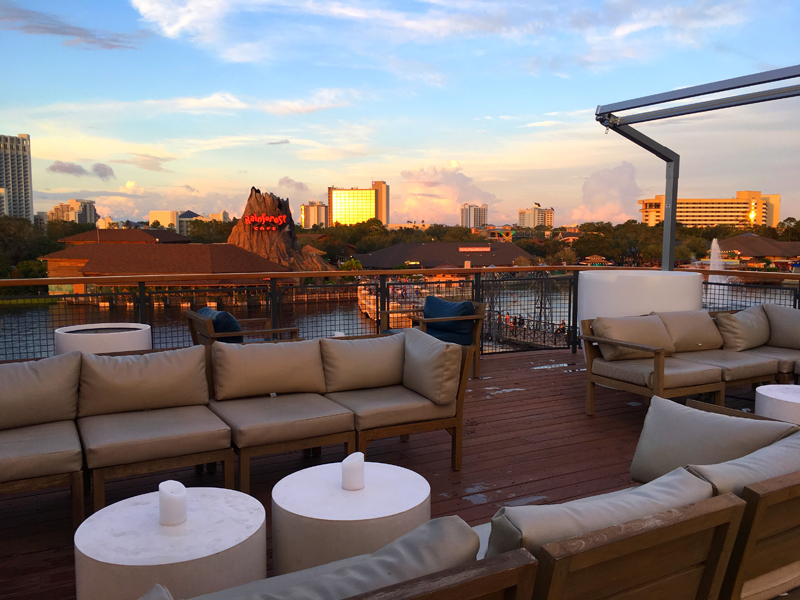 Not only is Paddlefish filled with seafood delights it also boasts a classic cocktail menu with fresh ingredients and spirits and killer rooftop-level seating with waterfront views! 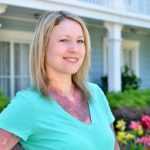 We had an unique dining experience so let me start with sharing the dishes we had while we dined at Paddlefish. We started off with these refreshingly, bright cocktails. I will be honest and tell you that it was very difficult to decide on which drinks to order. Their menu has a new spin on classic, turn of the century cocktails and each one looked better than the next. 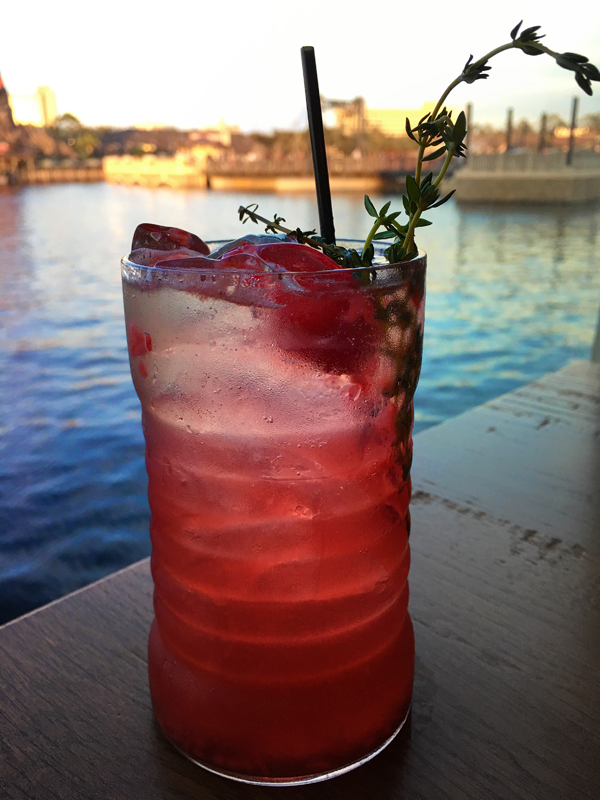 We ordered the Southern Sangria: Medley Bros. bourbon, peach liqueur, Tempranillo, seasonal fruit and the Captain Handsome: Boyd & Blair vodka, fresh raspberries, Framboise, thyme. Both were excellent and had great balance of spirits and fruit. Next was appetizers, I was hearing the word on the streets about these Lobster Corn Dogs and YES they live up to the hype. 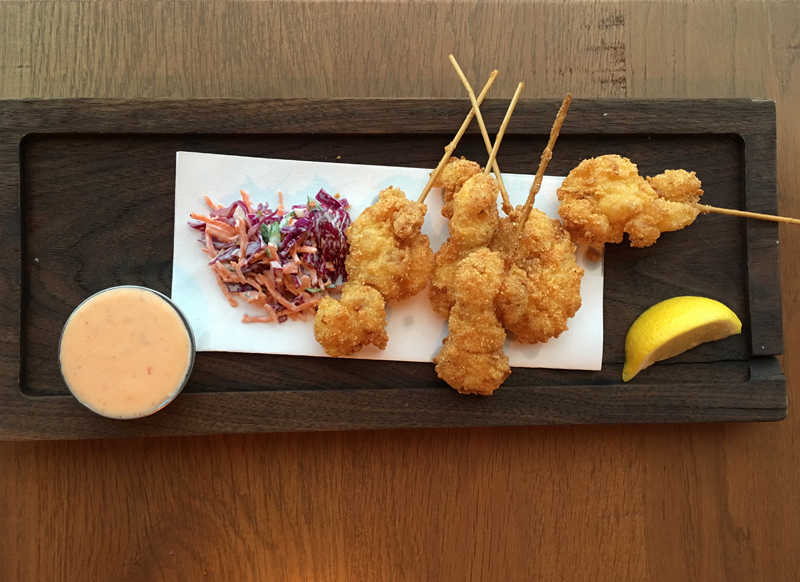 Lobster gently kissed in batter with a side of sweet chili aioli. What more is there to say? 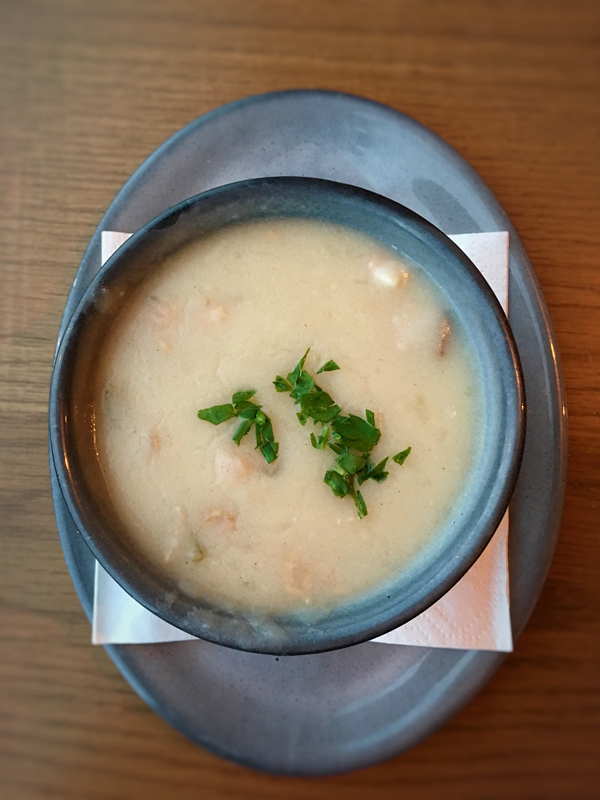 New England Clam Chowder rocked as well! 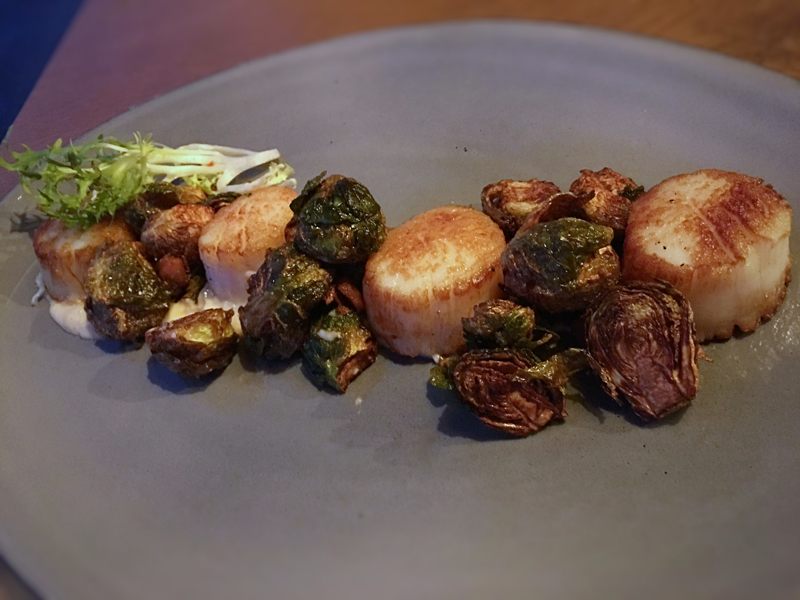 For the dinner course we had the Scallops with Brown Butter, Cauliflower Puree, crispy Brussels Sprouts and Bacon and the Porkchop with house-made Applesauce and Green Beans. Scallops were cooked perfectly and I could’ve eaten a gallon of the Cauliflower Puree! 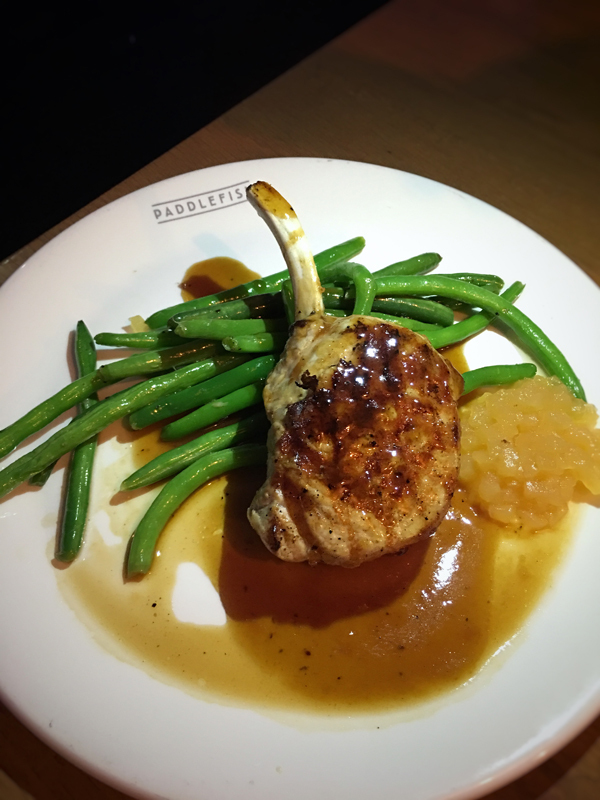 Porkchop was on point and green beans were crisp and all seasoned well. Loved the views up on the rooftop deck! 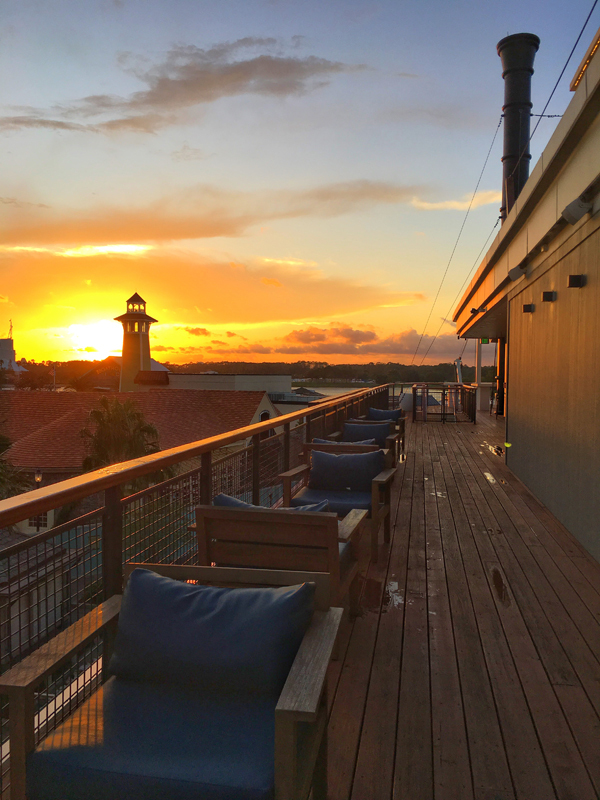 We were lucky to be able to catch the sunset over Disney Springs. In the evenings they are open late featuring cocktails, craft beers and over 175 wines. You can enjoy live entertainment every Friday and Saturday from 9PM – Midnight. 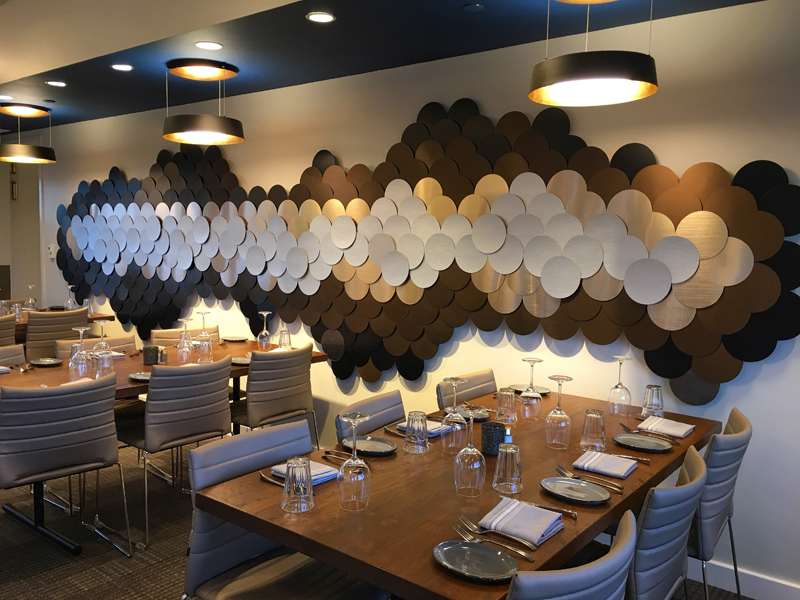 The atmosphere throughout Paddlefish is modern and luxurious. Each of the three dining rooms has it’s own identity, yet flows well. 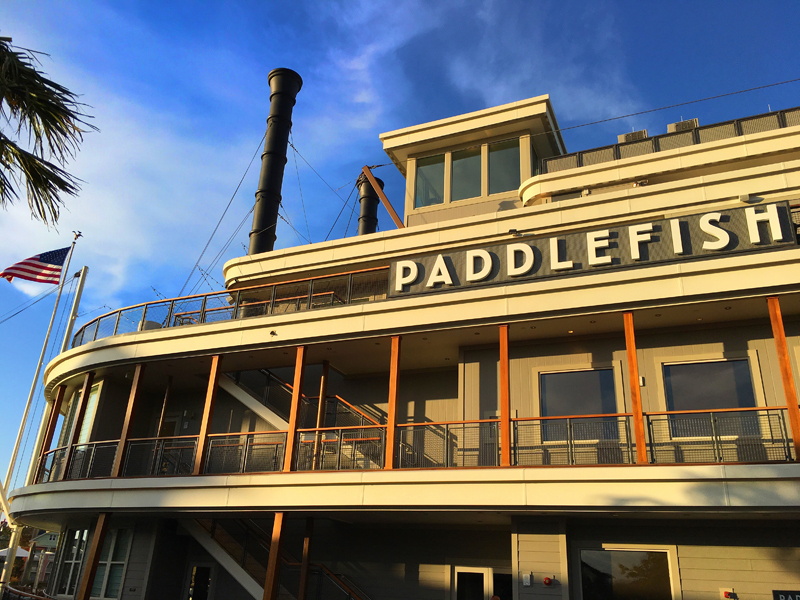 Overall we had a wonderful experience dining at Paddlefish. 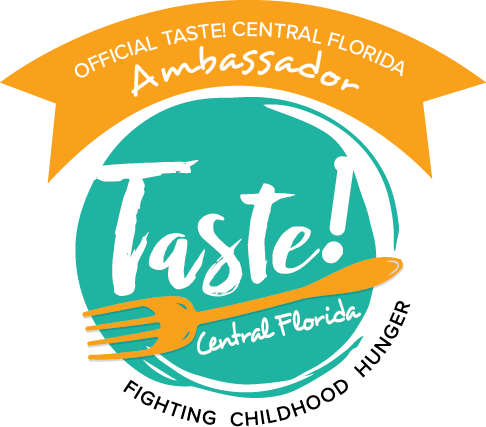 Our server was well-versed with the menu and offered great suggestions to our palate. She was really friendly and attentive. All of the staff were smiling and helpful. 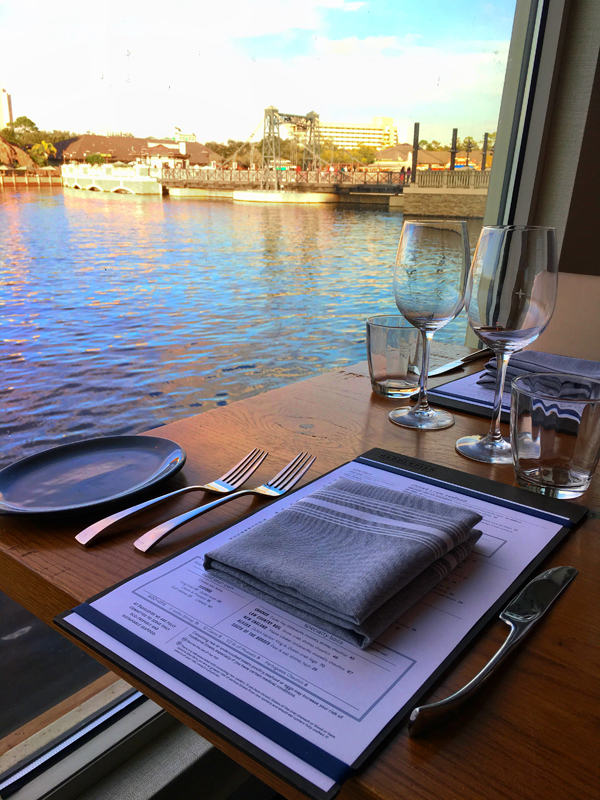 We are really looking forwarding to dining at Paddlefish again. I was so full from dinner I still need to try their tasty desserts! Thank you to Paddlefish for hosting us for dinner. As always, all opinions are my own.